Draft: 2011, Pittsburgh Pirates, 2nd rd. Joshua Evan Bell...Is a 2011 graduate of Jesuit College Preparatory School in Dallas, TX, where he hit .556 with 14 home runs, 55 RBI and 57 runs scored as a senior... PGA Tour golfer Jordan Spieth is also a 2011 graduate of the same prep school...Was also named the Gatorade Texas Player-of-the-Year, Baseball America All-American, USA Today All USA First-Team selection, Louisville Slugger All-American, Rawlings All-American First Team, District 9-5A MVP, Dallas News Player-of-the-Year, Texas 5A All-State First Team and one of the top 10 High School players by Sports Illustrated as a senior...Hit .412 with 11 home runs, 36 RBI, 36 runs scored, an .897 slugging percentage and .528 on-base percentage as a junior...Was named a District 8-5A MVP, Texas Sports Writers Class 5A All-State First-Team, Dallas Morning News All-Area First-Team and an All-District 8-5A First-Team selection as a junior...Earned varsity letters in baseball from 2008-2011...Received a $5 million signing bonus, a record for a player outside of the first round, to bypass his college baseball scholarship to the University of Texas at Austin...Signed by Pirates scout Mike Leuzinger. Set career highs in walks and doubles...Led the Pirates in walks...Made 137 appearances (135 starts) at first base...Was Pittsburgh's most-used starter (65 times) in the cleanup position; hit .233 (57-for-245) with five homers and 34 RBI from the fourth spot...Went 5-for-10 as a pinch hitter; is 14-for-34 (.412) in his career...Made his second straight start at first base on Opening Day; the first Bucco to do so since Adam LaRoche made three straight starts there between 2007-09...Hit safely in each of his first six games (9-for-24, .375) and reached base safely in his first 12 thru 4/12...Hit .217 in April and .280 in May...Batted second in the starting lineup for the first time on 6/25 at New York (NL) and went 1-for-4 with a home run and two RBI...Was the leadoff batter on 7/6 vs. Philadelphia and went 1-for-5 (his second career start batting first)...Went 2-for-13 in three starts from the leadoff spot...Appeared in each of the first 89 games thru 7/8 before sitting out the action on 7/9...Fell a homer shy of hitting for the cycle while going 4-for-4 on 7/13 vs. Milwaukee...Had a walkoff double in the 10th inning to beat Milwaukee on 7/15...Hit .329 (23-for-70) in 22 games during the month of July...Matched his season and career high with four hits on 7/21 at Cincinnati...Suffered a left oblique strain on 7/27 vs. New York (NL) and was placed on the 10-day D.L. the following day...Was reinstated on 8/8... Hit his two home runs batting right-handed on 8/9 at San Francisco (off Andrew Suarez) and 8/11 at San Francisco (Ty Blach)...Did not collect another RBI until homering again on 9/7 vs. Miami (went 19 games without an RBI between 8/12 and 9/3)...Hit safely in 12 of his 13 games between 9/7-22, going 19-for-46 (.413) with five doubles, three home runs, a .509 on-base percentage and a 1.226 OPS...Reached base safely in 20 of his last 21 games, producing a .427 OBP. Began season ranked by Baseball America as the organization's fourth-best prospect and the 64th-best prospect in baseball...Was also recognized as the "Best Hitter For Average" in the Pirates system...Was tabbed by MLB.com as the best first base prospect in minor league baseball...Batted .317 (155-for-489) with 24 doubles, nine triples, seven home runs, 78 RBI and an .838 OPS in a career-high 131 minor league games with Double-A Altoona (96 games) and Triple-A Indianapolis (35 games)...Set career highs in games, hits, triples and RBI...Was named to the Eastern League mid-season All-Star team...Also represented the Pirates at the MLB Futures Game in Cincinnati on 7/12; was the starting first baseman and went 1-for-2 with a home run...Ranked third among Pittsburgh farmhands in batting and second in RBI...Spent his first season playing exclusively as a first baseman; made 84 starts there with Altoona and 31 with Indianapolis...Began season with Altoona and won Player-ofthe-Week honors for the week of 4/27-5/3 after hitting .615 (16-for-26) with three triples, 11 RBI and a 1.574 OPS in six games...Was ranked fifth in the Eastern League in batting when he was promoted to Indianapolis on 7/31...Made Triple-A debut on 8/1 and delivered the walkoff single in the 13th inning of Indy's 6-5 victory over Charlotte...His .394 average from 8/5 thru the end of the regular season was the second-highest in the International League...Hit .379 (11-for-29) with a homer, seven RBI and a .974 OPS in eight postseason games...Capped a three-run rally with a walkoff single in the ninth inning in Game Four of the Governor's Cup Championship vs. Columbus on 9/18. August 8, 2018 Pittsburgh Pirates activated 1B Josh Bell from the 10-day injured list. July 28, 2018 Pittsburgh Pirates placed 1B Josh Bell on the 10-day disabled list. Left oblique strain. August 20, 2016 Pittsburgh Pirates recalled 1B Josh Bell from Indianapolis Indians. July 16, 2016 Pittsburgh Pirates optioned 1B Josh Bell to Indianapolis Indians. July 8, 2016 Pittsburgh Pirates recalled Josh Bell from Indianapolis Indians. March 18, 2016 Pittsburgh Pirates optioned 1B Josh Bell to Indianapolis Indians. 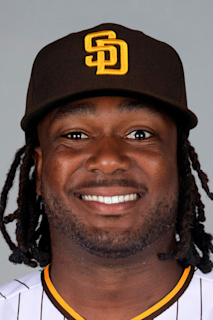 December 9, 2015 1B Josh Bell assigned to Leones del Caracas. November 20, 2015 Pittsburgh Pirates selected the contract of Josh Bell from Indianapolis Indians. August 1, 2015 1B Josh Bell assigned to Indianapolis Indians from Altoona Curve. April 2, 2015 RF Josh Bell assigned to Pittsburgh Pirates. September 9, 2014 Altoona Curve activated 1B Josh Bell from the 7-day disabled list. July 17, 2014 RF Josh Bell assigned to Altoona Curve from Bradenton Marauders. April 1, 2014 RF Josh Bell assigned to Bradenton Marauders from West Virginia Power. March 19, 2014 OF Josh Bell assigned to Pittsburgh Pirates. September 12, 2012 West Virginia Power activated RF Josh Bell from the 7-day disabled list. April 26, 2012 West Virginia Power placed OF Josh Bell on the 7-day disabled list. April 4, 2012 OF Josh Bell assigned to West Virginia Power. August 15, 2011 Pittsburgh Pirates signed OF Josh Bell.